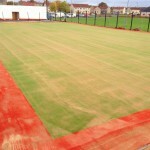 We are needlepunch contractors offering full construction services for sports facilities using this surface type. It is a 2G synthetic turf specification which is ideal for multipurpose areas due to its versatile playing qualities. 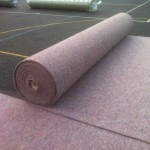 Many schools have this flooring on a sports area or playground as it is perfect for football, hockey, netball and general games. Please feel free to contact us today if you’d like to find out more on the work we do and which products we can offer you. Simply complete the enquiry box on this page to let us know what you are looking for. 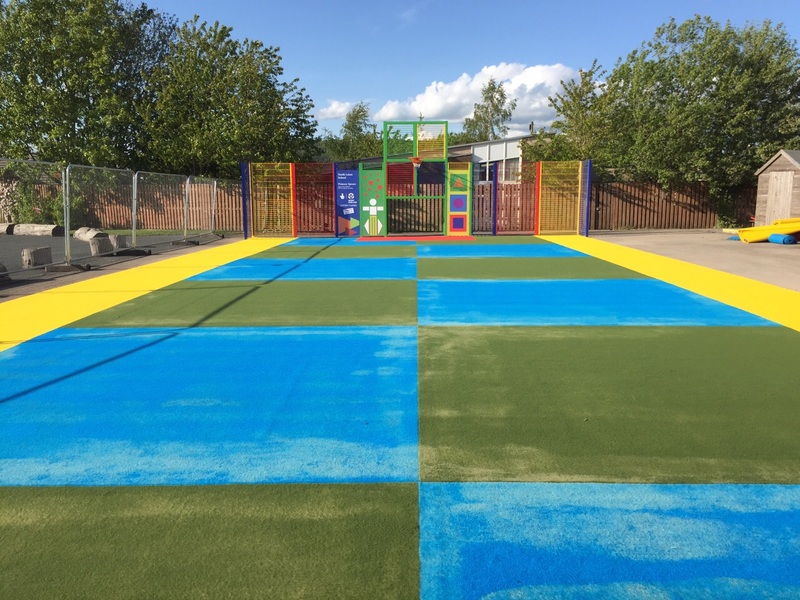 Needlepunch synthetic turf surfacing is a popular choice for multi use games areas and athletics tracks particularly at primary schools as it provides a softer landing surface for younger children taking part in sport. 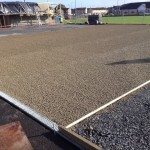 The fibre bonded needlepunch surfacing is also a popular choice for athletics tracks and long jump runways at primary schools and is a great way to get younger children into a range of athletics events. When you decide to have this type of construction project carried out at your organisation, it’s important to choose reliable needlepunch contractors to ensure you get the best value for money and that the sports facility is safe and suitable for use. Doing background checks on a company and looking at case study examples of their previous work is a great way to ensure you choose the right contractors for your project so that the end result meets your requirements. 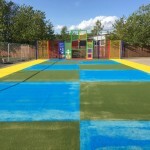 We have completed numerous projects at schools and sports clubs throughout the UK to install and maintain these types of sports facilities. 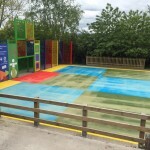 The designs for each different needlepunch surfacing project can vary depending on what the client chooses so it’s good to have an idea of any colours you would like. You might also want to include other features like fencing and goal ends to help you make the most of your new facility. Our team can talk you through the options and choices so please feel free to get in touch with us via our quick contact form today! We would be happy to offer you a quote for installing a needlepunch surface so you can have an idea of the costs and any extras you might need. 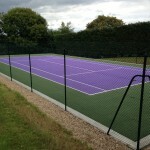 As experienced needlepunch contractors we can provide you with the full construction of your synthetic fibre bonded surfacing facility, as well as any extras including fencing, floodlights and maintenance equipment. 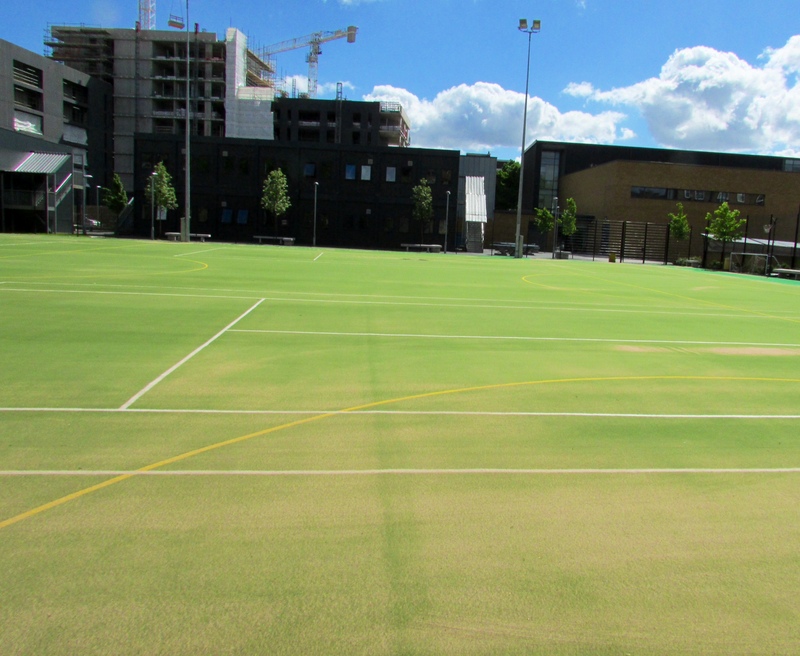 Having additional features added to the sports pitch can help you make the most efficient use out of it while ensuring that it’s safe and secure. 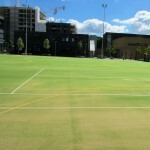 We can also carry out cleaning and maintenance for your needlepunch sports surface to keep it in top condition for as long as possible, this maintenance could include brushing, removing debris and rejuvenation of sand infill to get rid of any contaminated or dirty sand and prevent it from damaging the surface. 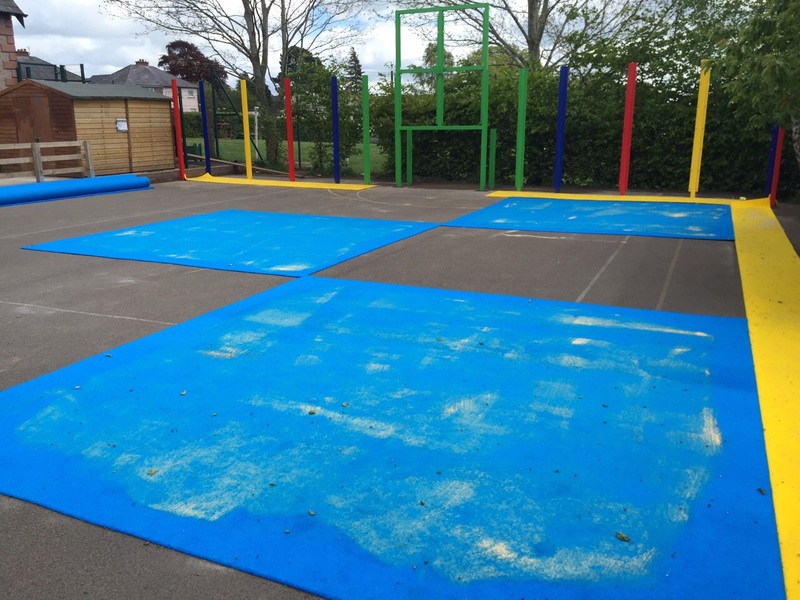 You can find out more about the surfacing options needlepunch contractors have available by looking through the rest of our website where you can see details of specifications, construction and maintenance and make yourself fully aware of all the products and services we offer. 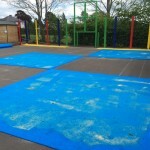 If you would like to send us an enquiry for a needlepunch fibre bonded surfacing project at your organisation, please fill in our contact form with your details and we will reply back to you with some advice regarding prices and quotes. 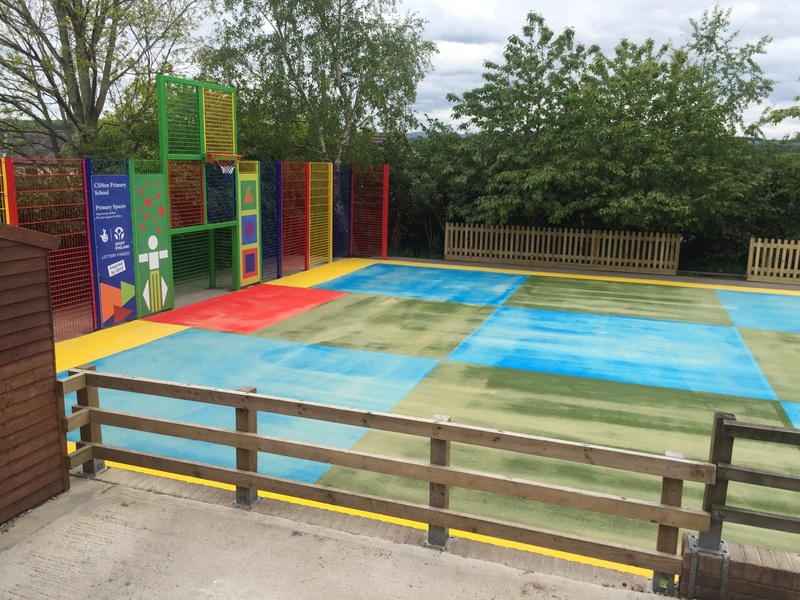 Our experienced staff would be happy to answer any questions you have with regards to designs and specifications for outdoor sports facilities at your school or club.